This year, consider sending out your runners in a new direction. If you have even a square foot or two of extra space in your fertile soil, consider planting a few pineberry plants. Pineberries are hybrid strawberries just like the normal strawberries you buy at the store or grow from ordered plants. The difference can be seen in the photo above. They are white strawberries with bright red seeds! And, they get their name from their unique pineapple/strawberry taste: PINEapple + strawBERRY = PINEBERRY. The plants are quite uncommon. 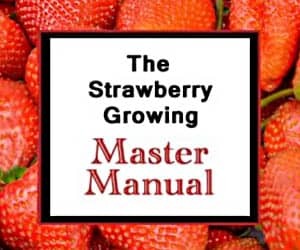 If you want to buy pineberry plants to grow this year (or if you simply want details and information about this strawberry prodigy), click here: Pineberry Pineberries. Pineberries do not produce as well as the modern strawberry hybrids that have been selectively bred for decades for improvements. But, if you follow the guidelines on the Growing Strawberries page, you should at least see some fruit this year! 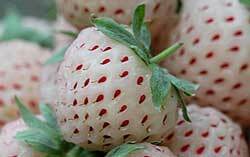 I would like to purchase pineberry plants for my garden this spring. Will they grow in TN? They will as long as you care for them appropriately! You can buy them from the suppliers listed on the Pineberry Pineberries post. Good luck!